Cancelled! So how many people were actually watching Roseanne in Australia? Roseanne was part of Network Ten’s recent ratings growth and in the 18-49 category. Advertisers in the US are going to need to find another hit TV program to invest in now that Roseanne has gone. In Australia, that’s not so much of a problem. While Network Ten was pulling a reasonable crowd, the absence of the show in the TEN schedule won’t be causing advertisers any major headaches. The episode screened here last week on Sunday night May 20 had a metro audience of 400,000 and regional was 140,000. For the episode on May 27 the metro audience was 392,000. Roseanne ranked #1 in the 18-49 category in the US. It wasn’t that powerful here. However, when taking out multiple appearances of the same series on the chart, Roseanne managed to make the top 20 in that demo here. 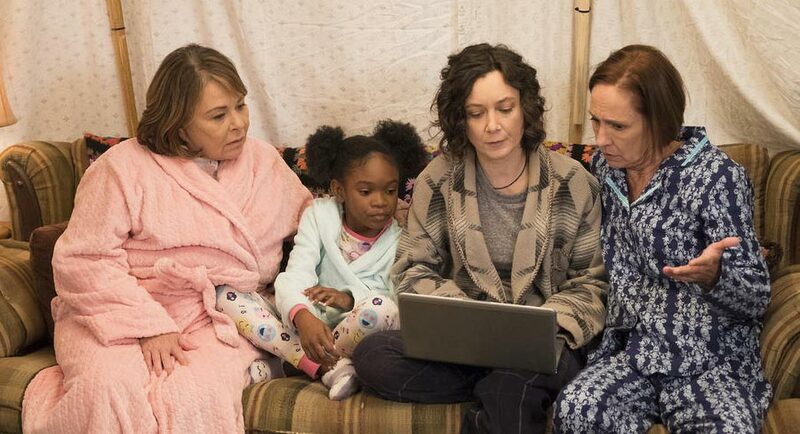 Roseanne was part of Network Ten’s recent ratings growth and in the 18-49 category was one of five shows that TEN had in the metro top 20 that appeal to advertisers targeting that demographic. The others are Have You Been Paying Attention?, MasterChef, Shark Tank and The Project.